Three international non-governmental or intergovernmental organizations are named in the Convention to advise the Committee in its deliberations. The International Union for Conservation of Nature (IUCN) is an international, non-governmental organization that provides the World Heritage Committee with technical evaluations of natural heritage properties and, through its worldwide network of specialists, reports on the state of conservation of listed properties. 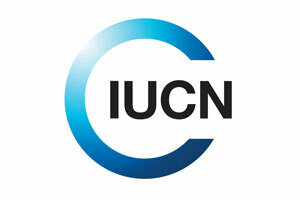 With more than 1000 members, IUCN was established in 1948 and is located in Gland, Switzerland. The International Council on Monuments and Sites (ICOMOS) provides the World Heritage Committee with evaluations of cultural and mixed properties proposed for inscription on the World Heritage List. It is an international, non-governmental organization founded in 1965, with an international secretariat in Paris. The International Centre for the Study of the Preservation and Restoration of Cultural Property (ICCROM) is an intergovernmental organization created to promote the conservation of all forms of cultural heritage, in every region of the world. Its mission is to provide Member States with the best tools, knowledge, skills and enabling environment to preserve their cultural heritage in all of its forms, for the benefit of all people. 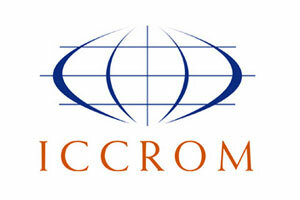 Through its work, ICCROM is contributing to the environmental, social and economic sustainability of communities. Welcomes the harmonization of the reports by the Advisory Bodies and the comments on the progress made and gaps identified for the implementation of the Convention. 4. Welcomes the harmonization of the reports by the Advisory Bodies and the comments on the progress made and also takes note of the gaps identified in the implementation of the Convention . c) to present a joint summary table with the World Heritage Centre on their commitments and activities. 3. Takes note with concern of the restricted resources accorded to the Advisory Bodies from the World Heritage Fund to accomplish their tasks, and requests that the World Heritage Centre and the Advisory Bodies optimize their working and collaboration methods in order to strike a balance between the resources required and the services to be provided and to report on the measures taken at its 35th session in 2011. 7. Requests the Director of the World Heritage Centre to report on this item at its 35th Session in 2011. X.1 The Secretariat presented a summary of Document WHC-96/CONF.201/11 on the subject of Co-operation between the Advisory Bodies and the World Heritage Centre. With increasing volume and complexity of work and relatively static funding abilities, the Secretariat, advisory bodies and Committee had expressed concerns for the need of a close working relationship between the Centre and the three Advisory Bodies to avoid overlap, to effect cost efficiencies and to expedite the work of the Convention. As no overall agreements between the Centre and the advisory bodies existed, it was agreed that it was desirable to clarify and define the respective roles, requirements, responsibilities and obligations through the development of Memoranda of Understanding (MoU) to reach these objectives and to assure a timely and effective collaboration through the annual contracting process. The twentieth session of the Bureau June 1996 requested such Memoranda of Understanding be prepared and further requested to review draft fee contracts for 1997 (the annual UNESCO work contracts between the Centre and the Advisory Bodies for the Centre to implement the decisions of the Committee) as required under Article 14.2 of the Convention. X.2 The preparation of the Memoranda of Understanding was described to the Committee as a productive, mutually beneficial and interactive process, which in itself was very constructive and led to strengthened co-operation. Progress to date in the preparation of these agreements was reported as the following: (a) The IUCN MoU had been successfully completed with mutual and complete satisfaction to the Parties, and on the occasion of the IUCN World Conservation Congress and General Assembly had been signed by the Director of the Centre and the Director General of IUCN. The MoU was endorsed by the 3000 IUCN worldwide membership participants in a World Heritage supporting resolution. A copy of this MoU was provided to the Committee in Annex A of WHC-96/CONF.201/11. (b) The ICCROM draft MoU, which had been identified as pending legal review by ICCROM, reached a mutually satisfying final draft stage during the Committee session in Merida. 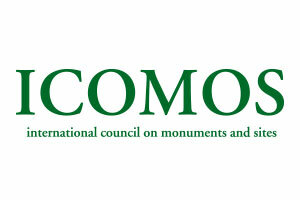 (c) The ICOMOS draft MoU which had been identified as pending review and consideration by ICOMOS, was endorsed in principle by the ICOMOS Delegate during the twentieth session of the Committee. The ICOMOS Delegate expressed enthusiasm with the nature of the agreement and a desire to sign it rapidly. The Committee was informed that the MoUs did not change the status of the advisory bodies under the terms of the Convention and Operational Guidelines, and did not replace the annual fee contracts between the Centre and the advisory bodies to perform work for the Committee. X.3 The texts of draft fee contracts between UNESCO and IUCN and ICOMOS for proposed advisory services to the Committee in 1997 were presented to the Committee for review. Following late submissions of proposed budgets by IUCN and ICOMOS, proposed costs could not be provided in the document. At the request of the Advisory Bodies, a sample budget framework was provided to the Advisory Bodies. X.4 A review of close cooperation between the Centre and the advisory bodies was also provided to the Committee. The Committee took note that regular meetings are held with the Advisory Bodies. X.5 In response to the inquiry from the Delegate of Canada, the three Advisory Bodies indicated respectively their complete satisfaction with the terms and conditions of the MoUs. The Advisory Bodies further indicated their full appreciation for the efforts of the Centre in this regard. X.6 The Delegation of Italy indicated reservations regarding the authority and competency for the Centre to conclude such agreements with the Advisory Bodies and proposed three considerations to the Committee: (a) The Chair of the Committee signs such agreements; (b) Having such a model as the Nordic Heritage Office, Oslo, the Director-General of UNESCO signs such agreements; and, (c) The MoUs are signed by the Chair of the Committee, the Director-General of UNESCO and by the executives of the three Advisory Bodies in a trilateral arrangement. X.7 The following delegations associated themselves with Italy on these positions: Australia, Benin, Germany, Lebanon, Malta, Morocco and Niger. The Committee decided that henceforth these Memoranda of Understanding should be signed by the Chairperson of the World Heritage Committee and by the executives of the three Advisory Bodies. X.8 Further discussion identified ICCROM as a special case as it is an intergovernmental organization. In this respect, the Delegation of Italy posed the following legal considerations: (a) With intergovernmental organizations, who is party to such an agreement? ; and, (b) Who is responsible to whom in such agreements, and for what? Given the intergovernmental nature of ICCROM and of the Convention and in order to avoid duplication, the Delegate of Italy proposed that ICCROM be the priority partner in the field of training in cultural World Heritage conservation and that it be consulted on all requests for training assistance in order to ensure quality and efficiency of training activities in the framework of the adopted training strategy. This proposal was adopted by the Committee. The Delegate of Mexico emphasized the importance of a regional approach in training. X.9 The Delegate of the United States of America referred to paragraph 14.2 of the Convention which states that the Director-General "shall have the responsibility for the implementation of its (the Committee's) decisions" and requested a legal interpretation on its application regarding the contracting with Advisory Bodies. The Delegate of the United States requested a legal opinion from the Legal Affairs of UNESCO on the matter of signature authority.